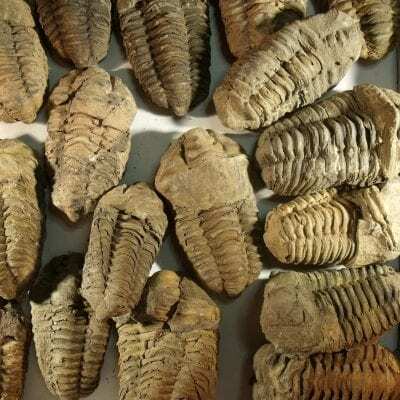 Very Nice Elrathia kingii is one of the most well known and recognizable trilobites. 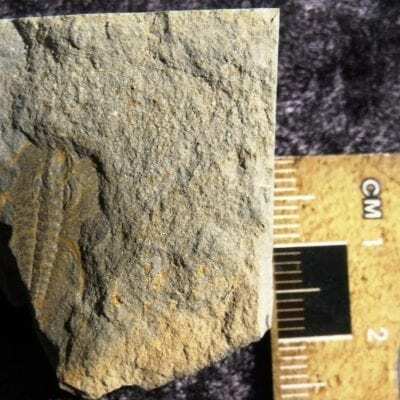 Its distinct black color on a gray matrix makes the trilobite seem to jump off the shale rock matrix. They lived, thrived, and became extinct MILLIONS of years before the age of dinosaurs! This large ELRATHIA trilobite is 7/8 inches by 11/16 inch set on an irregular shaped matrix block that is 2 3/4 by 2 1/4. 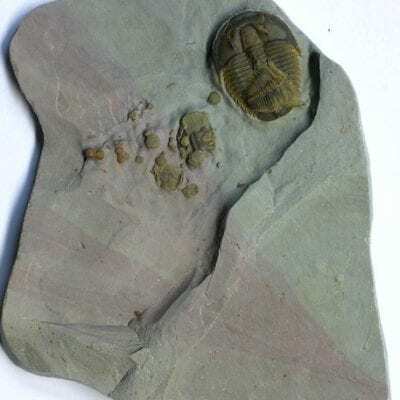 A Classic trilobite from a classic location.